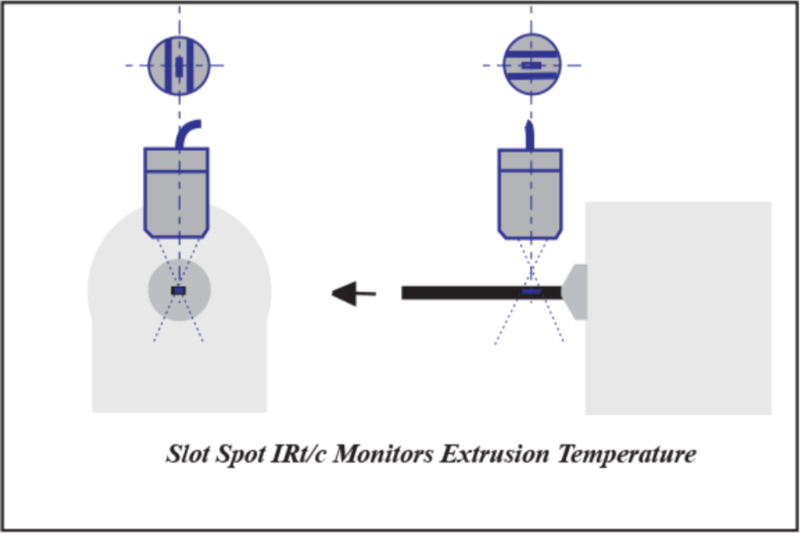 Specifically designed for measuring temperatures of very small objects, the unique Slot Spot IRt/c makes it possible to monitor and control such difficult targets as small extrusions, yarn, thread, wire, glass fiber, and others. To use, follow all of the standard setup and calibration instructions supplied for all of the adjustable IRt/c models. Use the lines scribed on the back of the sensor to align the field-of-view on the target. The alignment can be fine-tuned by moving the sensor (closer, farther, rotate slightly) until a maximum signal is obtained. For convenience a handheld t/c meter or millivolt meter can be used. The sensor is positioned optimally when the maximum signal is obtained on the meter. 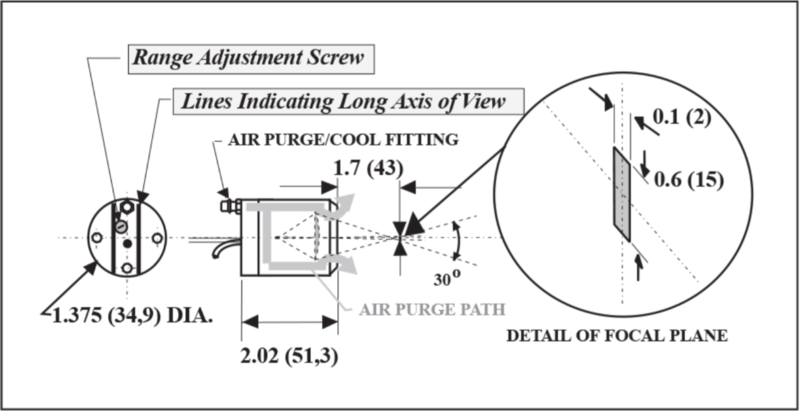 The Aperture Kit provided with the sensor may be used to extend the temperature range, or improve the resolution of adjustment. The wide linear range calibration technique specified in Tech Note 70 is recommended. The table shows the temperature limits for each aperture. 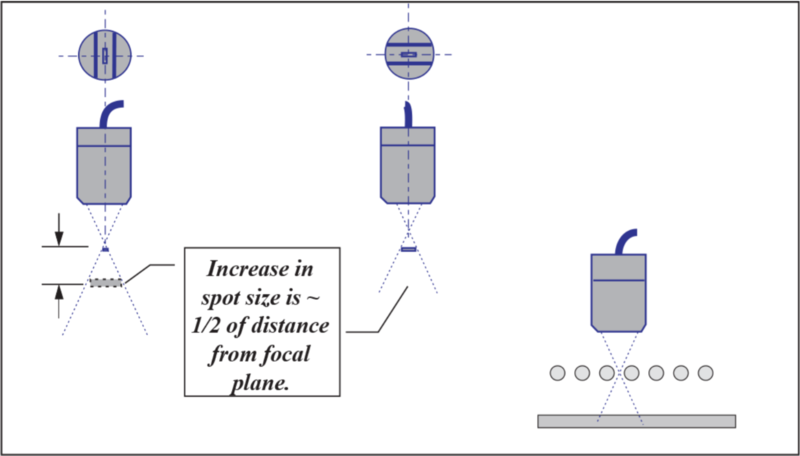 For monitoring targets which are outside the focal plane, the field-of-view can be approximated by intersecting planes in both views with an included angle of approximately 30°. This results in one-half of the distance from the focal plane being added to each dimension. For example, if the target is 1” (25 mm) from the focal plane, 1/2” (13) would be added to both dimensions, resulting in a spot size 1.1” (28) long by 0.6” (15) wide. This feature makes the Slot Spot particularly well suited to monitoring temperature of a target through any opening that is slot-shaped.